John Mearsheimer is the R. Wendell Harrison Distinguished Service Professor of Political Science and the co-director of the Program on International Security Policy at the University of Chicago. In 2007 Professor Mearsheimer coauthored The Israel Lobby and U.S. Foreign Policy (with Stephen M. Walt), which made the New York Times best seller list and has been translated into 22 languages. 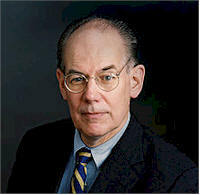 Professor Mearsheimer will address what, if anything, has changed in the decade since The Israel Lobby was published, subsequent findings, foreign policy choices the U.S. makes that it otherwise would not—if not for Israel—and what the new administration could do differently in the future that would better serve broader American interests. 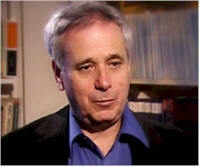 Ilan Pappé is Professor of History and Director of the European Centre for Palestine Studies at the University of Exeter in the UK. 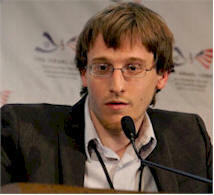 His research focuses on the modern Middle East, particularly on the history of Israel and Palestine. He is the author of the books The Ethnic Cleansing of Palestine (2007), Israel and South Africa: the Many Faces of Apartheid (2015) and The Idea of Israel: A History of Power and Knowledge (2016), among others. He will discuss the value of viewing Israel-Palestine through the lens of settler-colonialism, how Zionist myths have been shaped and/or perpetuated by the Israel lobby, and what framework is necessary to overcome these myths and ensure that efforts to resolve the "conflict" are grounded in reality. Wajahat Ali is a journalist, writer, lawyer, an award-winning playwright, a TV host, consultant, and Creative Director of Affinis Labs. He was a National Correspondent, Political Reporter, and Social Media Expert for Al Jazeera America. In 2012, Ali worked with the U.S. Department of State to design and implement the “Generation Change” leadership program to empower young social entrepreneurs. 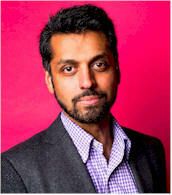 Ali was the lead author and researcher of “Fear Inc., Roots of the Islamophobia Network in America,” the seminal report from the Center for American Progress. 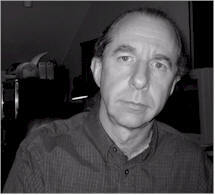 Tom Hayes, Lecturer in the Film Division at Ohio University, originally hails from Vermont. At the age of 15 he won the Kentucky Educational Television Young Peoples Film Competition. He worked his way through film school in the 70’s crewing on cargo ships, and working as a drive-in projectionist. Working as media freelance on commercial productions enabled him to pursue his independent documentary projects. Hayes’s first long form documentary focused on the experience of Cambodian refugees, from their lives in a refugee camp on the Cambodian border, through their first year of resettlement in the U.S. That film, Refugee Road, was broadcast nationwide on PBS. In the early eighties his interest turned from the Cambodian refugee experience to the odd situation of Palestinian refugees in Lebanon. Weathering the Israeli occupation of Lebanon, and ongoing civil strife, he produced Native Sons: Palestinians in Exile, narrated by Martin Sheen. 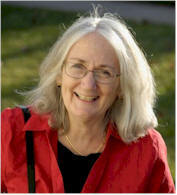 Once faced with the realities of the Palestinian experience, Hayes became engaged with the issue and continued documenting the human and political rights situation of this human community for decades. 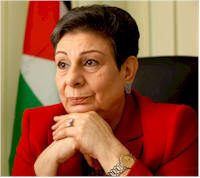 The Independent Television Service funded his film, People and The Land, about the role of the United States during the first Palestinian Intifadah. His latest film, Two Blue Lines, integrates footage Hayes began gathering in 1983, up to the present. Khalil Jahshan has been serving as Executive Director of Arab Center Washington DC (ACW) since its inception in 2014. Between 2004 and 2013, Jahshan was a lecturer in International Studies and Languages at Pepperdine University and Executive Director of Pepperdine’s Seaver College Washington DC Internship Program. Previously, Jahshan served as Executive Vice President of the American-Arab Anti-Discrimination Committee and Director of its government affairs affiliate, NAAA-ADC. Throughout his career he has held numerous positions, including Vice President of the American Committee on Jerusalem, President of the National Association of Arab-Americans, and National Director of the Association of Arab-American University graduates. 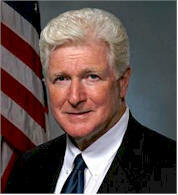 He received a bachelor’s degree in political science and French from Harding University in 1972. Mr. Jahshan has served on the board of directors and advisory boards of various Middle East-oriented groups including ANERA, MIFTAH and Search for Common Ground. 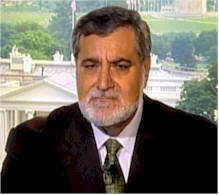 He has appeared on various media outlets such as Al-Jazeera, Al-Hurra, CCTV, Al-Arabiya, C-SPAN, and Charlie Rose. Jim Moran is a former U.S. Representative for Virginia's 8th congressional district in Northern Virginia, including the cities of Falls Church and Alexandria, all of Arlington County, and a portion of Fairfax County. 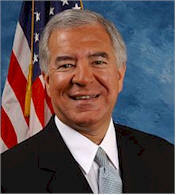 Moran served from 1991 to 2015, and is a member of the Democratic Party. While in congress, Moran was a staunch critic of moving the U.S. Embassy from Tel Aviv to Jerusalem and the major role the Israel lobby played in pushing for the U.S. invasion of Iraq. Shaheen’s book, A is for Arab: Archiving Stereotypes in U.S. Popular Culture, features telling photographs of materials from the Jack G. Shaheen Archive at NYU. His book and a special traveling exhibit documents U.S. popular culture representations of Arabs and Muslims from the early 20th century to the present. NYU’s Shaheen Archive contains more than 4,000 images, including motion pictures, cartoons,and TV programs, as well as toys and games featuring anti-Arab and anti-Muslim depictions. 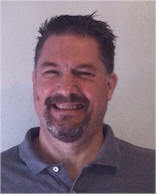 Grant Smith is the director of the Washington, DC-based Institute for Research: Middle Eastern Policy (IRmep). He is the author of the 2016 book Big Israel: How Israel’s Lobby Moves America about the history, functions and activities of Israel affinity organizations in America. 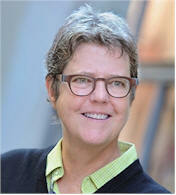 Smith has written two unofficial histories about the American Israel Public Affairs Committee (AIPAC). America's Defense Line: The Justice Department's Battle to Register the Israel Lobby as Agents of a Foreign Government and Foreign Agents: AIPAC from the 1963 Fulbright Hearings to the 2005 Espionage Scandal. 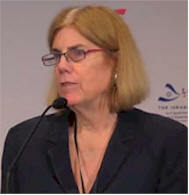 Smith's reports about the Israel lobby appear frequently in the Washington Report on Middle East Affairs and Antiwar.com news website.